With unsurpassed levels of internal climate control thanks to extensive mesh paneling, the Viper Air Textile Jacket incorporates new features such as two-way sleeve zippers and mesh collar for a formidable summer riding jacket. 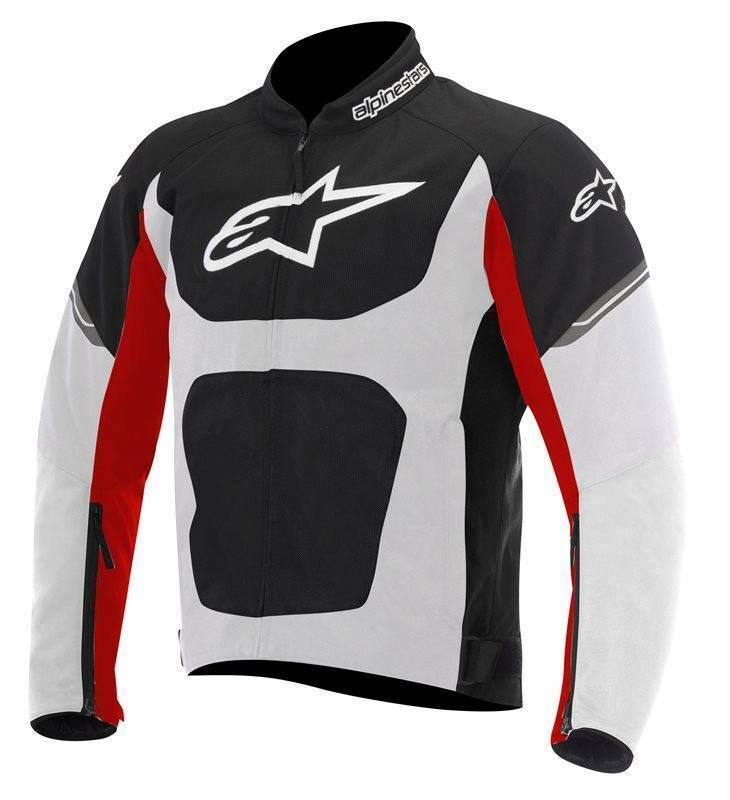 Pre-curved sleeves together with versatile D-ring waist fit gives this jacket excellent comfort benefits as well as a removable windproof inner vest lining so you can ride in a variety of weather situations. • Extensive mesh panels on front and rear panels for unsurpassed airflow performance. • Removable CE-certified Bio-Armor shoulder and elbow protection for excellent impact protection. • Chest and Back protector compartments with PE comfort padding (CE certified Nucleon back and chest insert protector available as accessory). • New two-way sleeve zippers offer safe closure as well as allowing you to regulate air intake. • Removable windproof inner vest lining to allow jacket to be worn in wet weather; lining features Velcro®-closing wallet pockets. • Full interior mesh liner adds to the cooling performance and incorporates Velcro®-closing wallet pocket. • Light mesh edge on collar for breathability and comfort. • Elongated rear profile, plus Velcro® and D-ring waist adjustment for added riding comfort and customization. • Pre-curved sleeves for increased comfort in riding position. • External zippered hand pockets for peace-of-mind closure, plus internal waterproof document pocket. 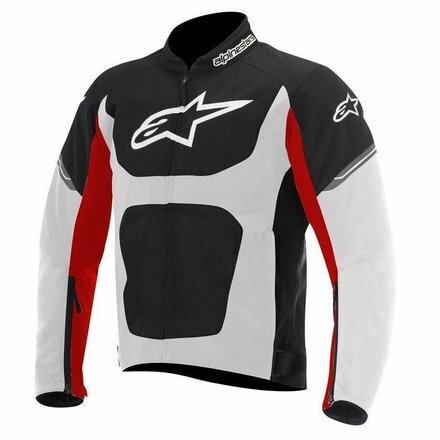 • Internal waist connection zipper allows attachment to selected Alpinestars pants. • Reflective detailing on front and back for added rider visibility. • Stitched and printed logos and YKK auto locking zippers. • Velcro cuff and D-ring waist adjustment for safe and personalized fit.